Give a warm touch to your living space by placing this magnificent carpet. It is handwoven in pure New Zealand wool and cotton material and contains Kashan design pattern. It has oval shape pattern in the center and ground is filled with tiny floral motifs. 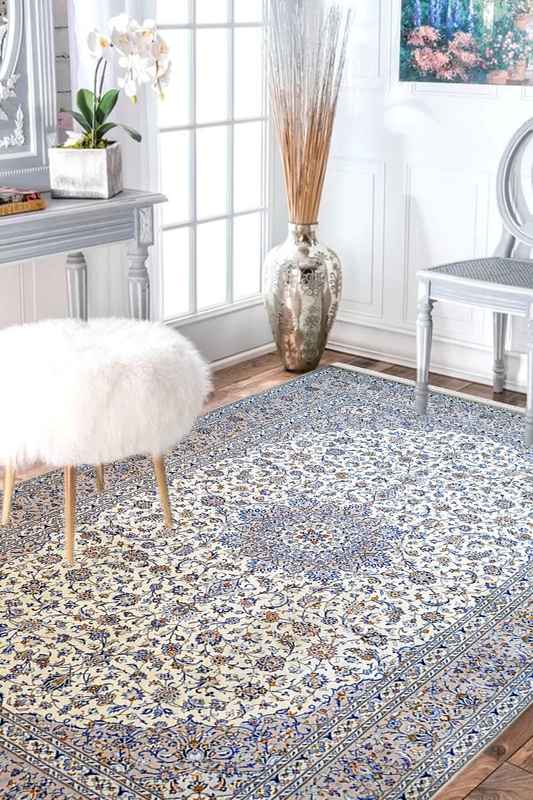 For adding a statement to your home décor and for providing a comfort zone to your family, buy this beautiful hand-knotted carpet which is woven in 100% pure New Zealand wool and cotton material. This is the most natural fabric which is used for weaving this type of beauty. The handmade wool yarn has been colored in vegetable dye before weaving process. No chemical dye used for it. It gives a calm touch to a place. This carpet is ideal for a less traffic area due to its smooth color.